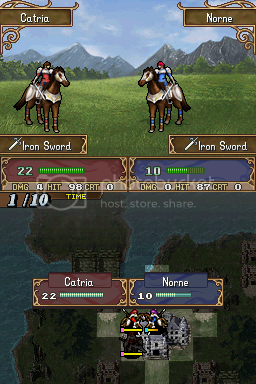 Modifies the growths of FE1DS's characters to match their growths in FE3DS. 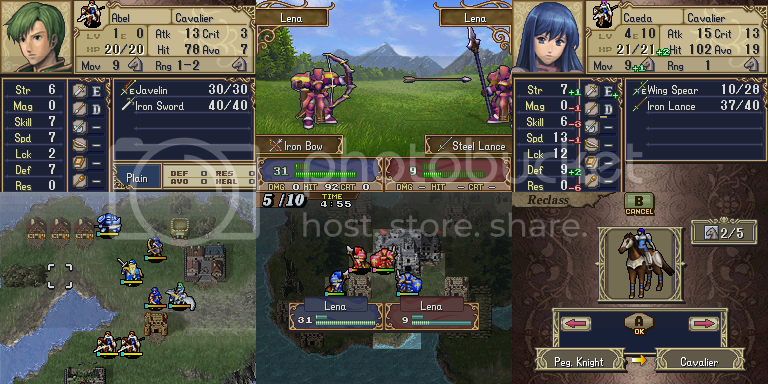 Imports the map sprites from FE3DS (they don't have that ugly thick outline). Allows Tier 1 females to reclass into Cavaliers. Allows Tier 2 females to reclass into Generals. Modifies the class bases to match the ones in FE3DS. Modifies the stat caps to match the ones in FE3DS. Modifies the weapons to match their FE3DS counterparts. This is the final update I will be making. Download the patch. Adding weapons would require a lot because I'd have to add the icons and make them obtainable. I will think about it though. But hey, I just got something to work! I'm really happy about this. In the next release you will be able to reclass females into Cavaliers and Generals upon promotion. I won't be changing any units to be female Cavaliers by default. Tried getting General (F) to work but I was unsuccessful (no map sprites or battle animations). I might have a breakthrough on that tomorrow. EDIT: Scratch that whole "getting it work tomorrow" thing. You may have also noticed that the backgrounds are more vibrant in the second picture. I imported FE3DS's backgrounds. What does this patch have to do with me? Anyway, looks pretty good. GJ Arch. What's the point? 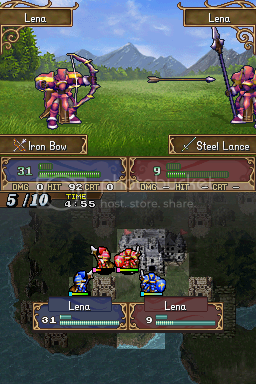 You might as well just play FE3 DS. I was bored, that's the entire point. I figured I'd share the DS hack since others might want to have the additions/changes I've made. EDIT: First post has been updated with a new patch containing the new reclass options. Actually, according to the first post you did this because you were "born." Anyways, cool. Especially the map sprites. They were awful in SD. I came out of the womb hacking FE games. Glad you like the work of a newborn ;). I know this is one severe case of late post, maybe even necroing, but I have to ask: Did this patch also messed up nerfed Wolf and Sedgar's insane growths as a result?